However, not all the users who have upgraded to Windows 10 are facing this problem. Unfortunately, this issue was seen on HP Pavilion 15 p077tx. While searching for this topic on Google, we found out that this matter is majorly affecting HP Laptops. Also, there are many forum posts, questions as well as solutions are available on the web. We’ve tried all of the solutions but none of them seems to work for us. But while Googling, we came to know that it is an issue with Intel Management Engine Interface Driver. Right click on ‘Intel Management Engine Interface’ and go to properties. Untick ‘Allow computer to turn off this device to save power’. Tip: It’s recommended that you manually update all the device in the device manager. Also here we’ve made up a short video tutorial. Make sure to check it out. Note: If your device is/was affected by this issue. Please let us know so that we can keep this list updated. We hope that this tutorial will help you solve your power issue with Windows 10. If yes, do share your views in the comment section below. If no, let us know about your device. We will love to help you out. Next articleHow to Record iPhone Screen Wirelessly? 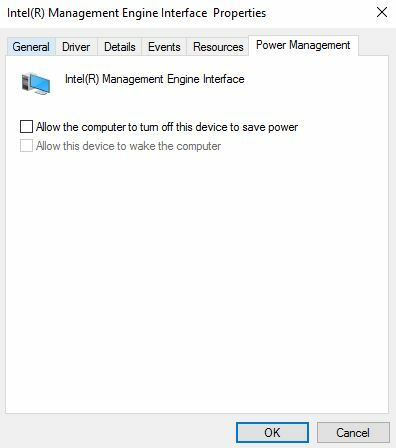 The Intel(R) Management Engine Interface, version 6.0.0.1179, don’t have power management, so I can’t use your solution. Do you have another solution for this problem? 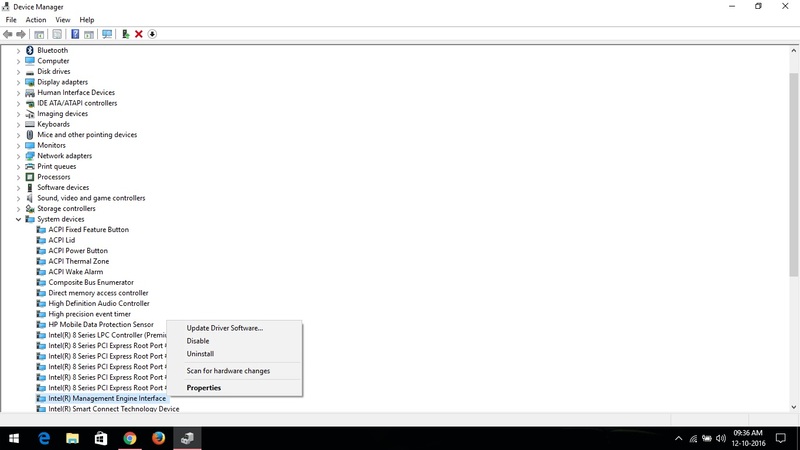 I have checked the driver version using device manager on my laptop which was having this problem using device manager. Driver version is 11.x.x.x. I would recommend you to check for updates for your driver and then try again. I’m having this same issue. I use Elitebook as well and the power management option is not available. What do I do? It keeps sleeping!!!! Argh! Amazing! After struggling with the “won’t shut down” problem on my 14″ HP Pavillion for two years, trying everything I could find online, this simple fix….worked! I’m truly shocked. Thank you, Mehul, for sharinb this! HP should pay you for it.! HP ZBook 17 G3 & G4 also affected . Many thanks for the power problem tip. I experienced trouble from mid-January 2018 on my Windows 10 HP Pavilion 17 Notebook and it has been frustrating trying to find out how to fix it. Your recommended change in the Intel Management Engine Interface was easy to do and worked like a charm. Your help is much appreciated. I also had the same issue with my hp laptop. This solution worked for me. Thank you soo much.